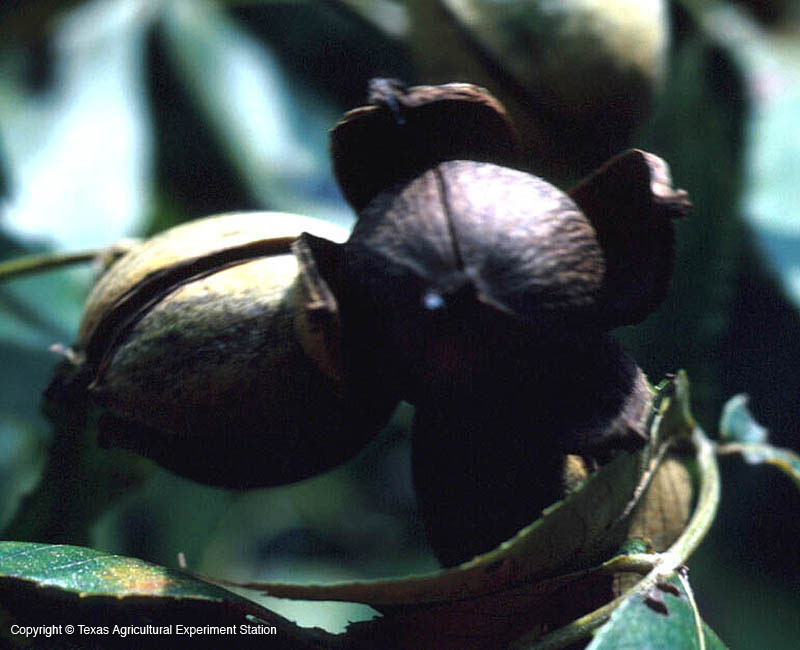 Nutmeg hickory is a somewhat rare tree that grows in small stands in the north- and southeast of the state, and in the Edwards Plateau. 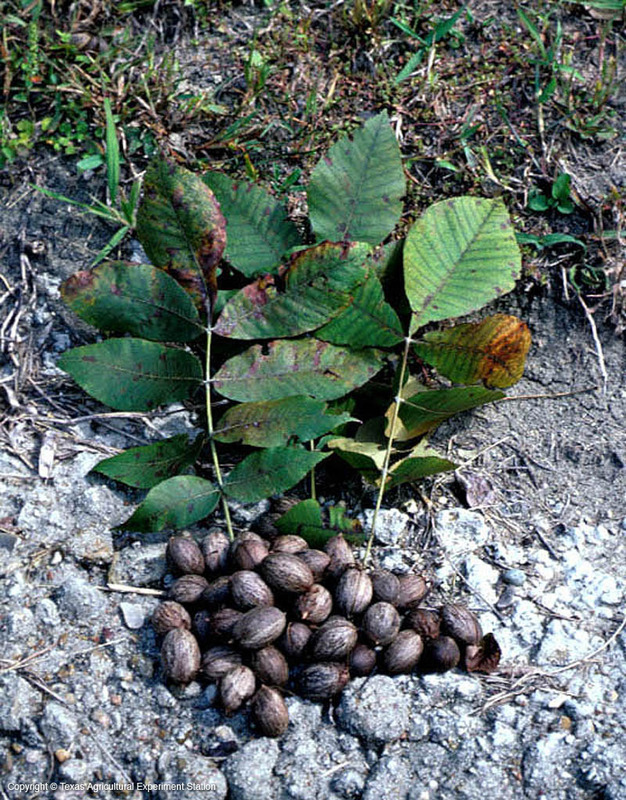 Because of this spotty distribution pattern (which it shares with Durand oak), it is considered by some to be a relic of an earlier age. 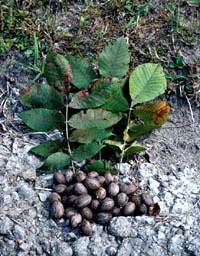 Its dark rounded fruit resembles a true nutmeg nut. Flower Color: green, females inconspicuous, males in catkins.